Taos Ski Valley Overlook Snow covered Kachina Peak Wheeler Peak. The resort said the mountain received 15 inches of snow in the last week. ALBUQUERQUE, N.Mex — An avalanche buried multiple people near the highest peak of a New Mexico ski resort on Thursday, including two who were pulled from the snow as ski patrol continued their search for others, an emergency management official said. The extent of the injuries for the two people located by searchers after the avalanche was not immediately known, said Bobby Lucero, the director for emergency management in Taos County. He said authorities believed others were likely buried in the snow, and efforts were underway to reach them on a high slope of Taos Ski Valley, one of the biggest resorts in New Mexico. Ski patrol was on the scene, and Lucero's office also offered to provide assistance, he said. According to the Taos Valley News, a reporter for the newspaper who was at the site of the avalanche said the snow collapsed near Kachina Peak, and that CPR was being given to the two people found beneath the snow. Taos Ski Valley said the avalanche happened at 11:30 a.m. on a run known as K3. It was unknown what triggered the avalanche. Kachina Peak is a nearly 12,500-foot (or 3,810-meter) summit with several mountainside chutes that expert skiers and snowboarders can dart down. 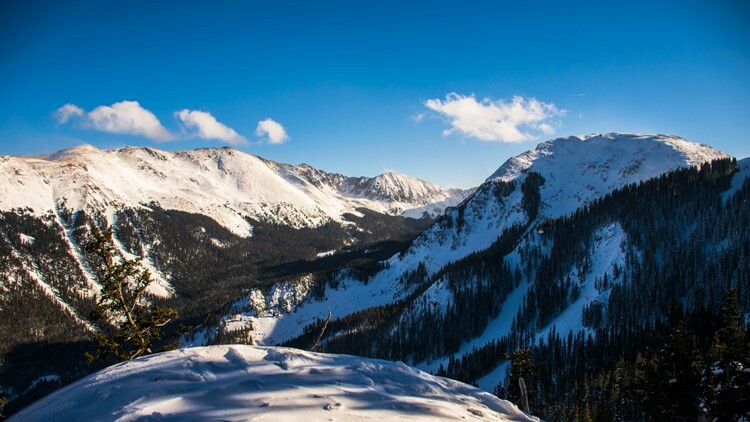 The 1,200-acre (or nearly 5-square-kilometer) ski resort north of Taos is one of the largest ski resorts in New Mexico. George Brooks, the director of the nonprofit Ski New Mexico, which promotes the sport, said avalanches are fairly rare in the state, and typically terrain is very well controlled at the area's ski areas. The avalanche comes as the state has enjoyed one of its best ski seasons in years after a spell of dry winters. "If they occur, it's not usually when anybody is around," Brooks said of New Mexico avalanches. The mountain had received 2 inches of snow in the last day and 15 inches in the last week, the Taos Ski Valley website said. The spot where the avalanche happened is prone to winds that can blow up the mountain and cause a cornice, meaning avalanches can occur there even without a high level of recent snowfall, Brooks said. Associated Press writer Susan Montoya Bryan in Albuquerque contributed to this report.